Both courses Excel and Word Include practical exercises to reenforce the training. Whether you need to write simple letter or create complex reports, these course will teach you how to accomplish these tasks successfully everytime. Participants will learn the features that are needed for successfuly manipulation of financial data where accuracy and clarity of presentation is very necessary and expected. You will learn the applications essential features for producing work of varied complexity and esthetics. Includes practical exercises to re-enforce the training. Learn about time saving features, data analysis, planning and designing data schemes, Tables, Forms, creating financial reports, Macros, using templates, designing simple VBA applications and much more. Templates, managing files, page formatting, conditional formatting, headers-footers, page numbering, formatting cells. applyingstyles, customizing styles, charts, creating custom lists, sorting, complex sorting, simple functions, database features, filtering, advanced filtering, VBA walkthrough and example, page setup, the print dialogue box, print preview, using text boxes and other shapes, working with graphics, understanding new features, understanding ribbons, creating names, adding worksheets, naming worksheets, consolidation over multiple worksheets, scenarios, pivot tables, what if analysis and more. 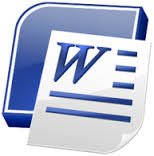 Microsoft Word: Templates, managing files, page setup, formatting, headers-footers, page numbering, tabs, applying styles, customizing styles, auto-correct, using tables, sorting, simple functions and mail-merge. The print dialogue box, print preview, orphans and widows, working with graphics, understanding the new interface, 2013 new features, understanding ribbons, customization, indexes, table of contents, document maps and more.